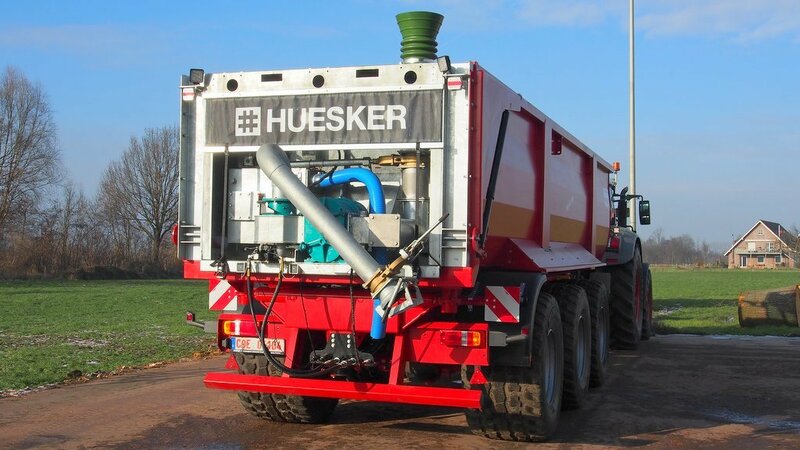 Designed to extend the usefulness of tipping trailers, German firm Huesker has come up with a novel conversion system which sees a trailer converted to a bulk liquid transporter. German firm Huesker now offers a system to convert a trailer into a bulk liquid carrier. 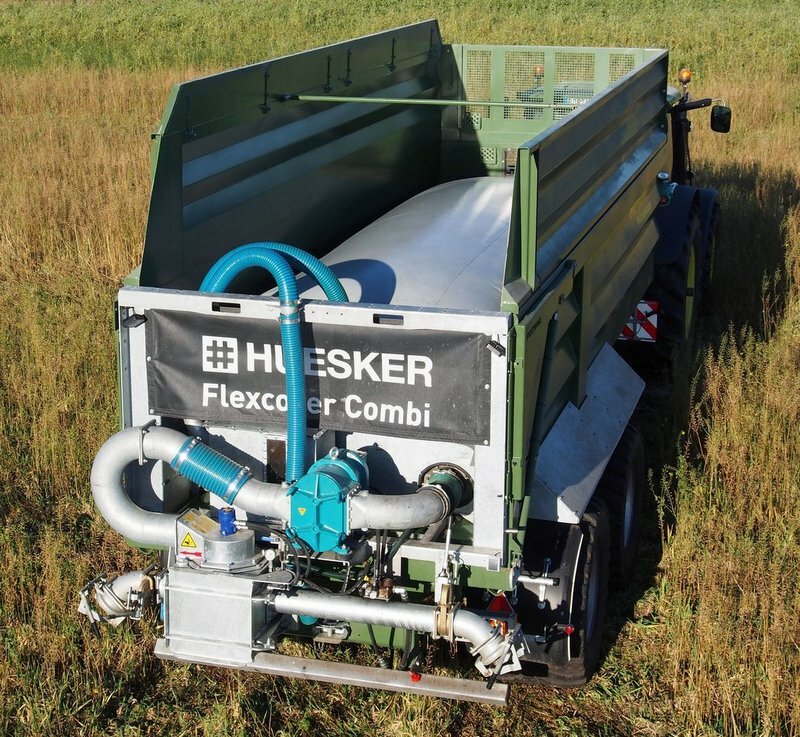 To convert a trailer into a 'tanker', Huesker's new Flexcover Combi unit is fitted to the rear of the trailer in-place of the trailer’s original tailgate. Inside the trailer, attached to the Combi unit is a bag, into which slurry, for example, can be loaded and transported. The entire 700kg unit is supplied fully assembled including pump, pipe fittings, macerator, stone trap and storage bag, with the bag rolled out into the trailer and secured at the front of the trailer to prevent slippage. Bag capacities range from 10cu.m to 32cu.m. The company claims two people can fit the whole thing in less than one hour, with a set of pallet forks used to lift the unit in-place. It also comes with a storage rack for when it is not in use. The system is fitted in place of the tailgate. When fitting for the first time, hydraulic hoses, used to power the pump and macerator, also need to be fitted. And potentially, the pipes used to power the tailgate could be used for this. Liquid can be pumped in from both sides of the trailer. To prevent over filling, the system is equipped with a pressor sensor, high pressure valve and overflow alarm. For now, the unit is only available direct from the company, but it is looking into dealers and distributors. Orders are being taken now, with prices starting from £21,500. It will also be available in a modular form so people will be able to tailor it to their needs.